Montana Shed Center strives to have happy and satisfied customers and will endeavor to repair or replace any item or issue with our products that is reasonable and is not constructed in a manner consistent with what would be reasonably expected to be a storage shed. The purpose of this warranty is to outline the specifics of our warranty and to clearly indicate the instances that are reasonable and unreasonable to address under a warranty. Any warranty work must be performed by Montana Shed Center or warranty is void. Montana Shed Center warrants to the purchaser, that the Montana Shed Center storage building is free of defects in workmanship and materials upon delivery, and will repair or replace any components that do not provide reasonable service under normal use, for a period of seven (7) years from the date of purchase for new buildings. Correction by replacement or repair of workmanship or materials in your Montana Shed Center product, which by our examination shall disclose to our satisfaction to be defective, shall constitute fulfillment of all liabilities of Montana Shed Center under this warranty. Warranty only applies to the first owner. This warranty will not apply to any Montana Shed Center product or any part thereof which has been damaged by adverse weather conditions, earthquake, hail, wind, fire, water, flood, earth movement, accident, or other event, theft, vandalism, act of God, or a casualty which is customarily covered by homeowners’ insurance. This warranty does not cover damages to building contents or other personal property that is normally covered by a homeowners’ insurance. Certain specific instances will void the warranty in the affected areas and include but are not limited to purchaser's alterations and modifications including ramps, steps, decks, interior modifications and hasps that have been installed by the purchaser or third parties. This warranty does not cover broken windows not reported at the time of initial delivery and setup.  This warranty does not cover the normal wear and tear of wood or wood products from normal use that can occur which include cosmetic changes in the appearance of wood or wood products that are not structural. This warranty does not cover water sealer. Our standard siding paint is Sherwin Williams, rated at 15 years under normal environmental conditions; under certain circumstances that rating can vary including, but not limited to, an abnormal amount of sunlight wet conditions for extended periods of time. This warranty does not cover missing or lost keys. The warranty does not cover damage caused by any other misuse, alteration, neglect, improper maintenance, or abuse not specifically described in the preceding. Purchaser is to provide a suitable foundation for the purchased building. Subsequent trips to re-level a building may indicate an unsuitable foundation or ground conditions. Such situations will be deemed by Montana Shed Center to fall outside of this warranty. Flooring is CDX grade and may have imperfections in appearance or seam gaps due to shrinkage from the drying process; therefore appearance is NOT covered under this warranty. Montana Shed Center makes no warranties whatsoever with respect to materials, accessories or parts incorporated into the storage building where the supplier or manufacturer of those materials has warranties on such materials which exceed or are less than the warranty set forth above. Montana Shed Center assumes no liability there under and the Buyer must assert any claim under such warranties against such supplier or manufacturer. Regarding used buildings, this warranty does not cover used buildings or any problems arising from alterations or modifications by previous customers of the storage building. At the sole discretion of Montana Shed Center, we may decide to include under our warranty, the parts and accessories from other manufacturers described herein. The terms “Purchaser” and “Buyer”, as used in this warranty, shall mean the person for whom the Montana Shed Center product is assembled and installed. This warranty excludes all swings sets, Studio Cottages, and Portable Log Cabin buildings that are purchased from Montana Shed Center. This warranty does not cover onsite garages or custom options not included in a standard storage shed. Buyer agrees not to hold Montana Shed Center liable for incidents outside of this warranty.